The Americans who fought and bled and stood firm at Khe Sanh in 1968 will be a part of my life forever. That’s the payoff I treasure most after writing Last Stand at Khe Sanh. Among the extraordinary people who graced my life during this project were Ken and Betty Rodgers. Their powerful film on the men of Bravo 1/26 was a source of early inspiration for me. At the invitation of Ken and Betty, I’ve put together a Q-and-A about my Khe Sanh literary experience. It draws on questions I’ve gotten from Khe Sanh veterans and readers at large, as well as my personal reflections on this unforgettable journey. WHY DID YOU DECIDE TO WRITE ABOUT KHE SANH? I discuss this at some length in the introduction to Last Stand at Khe Sanh. The Vietnam War was a great and tragic event that hung over my childhood. My early fascination with the American Civil War piqued my curiosity about what American soldiers were experiencing in Vietnam. My mother had lost her oldest brother in World War II, and that deepened my interest in the war and the rising human cost of the conflict. I identified with the men who answered the call and served in Vietnam. I always believed that I would have been a grunt in Vietnam if I had been born ten years earlier. When I decided to write a book about Vietnam, Khe Sanh drew me in. It was a high-stakes showdown in the war’s pivotal year, and a dramatic setting for an examination of the American combat experience in Vietnam. WHAT WERE THE STORYTELLING CHALLENGES YOU ENCOUNTERED IN WRITING A NARRATIVE HISTORY ABOUT KHE SANH? I knew I would have to limit the scope of the book to the siege months to tell the human story in some depth, but that still meant constructing a complicated narrative that unfolds over four months, from January to April 1968. Another challenge was the fact that the action at Khe Sanh plays out in several different locations: the combat base; Hill 881 South; Hill 861 and 861 Alpha; the Rock Quarry and Hill 64; Khe Sanh village; and Hill 558. Contemporary readers expect a cinematic experience in a work of narrative history, and that entails conveying a story through the experiences of compelling characters. I wanted to turn a spotlight on as many men as possible without overwhelming the reader. It was a constant balancing act. There was one final narrative challenge: Khe Sanh didn’t end with a big pitched battle or a scene like Santa Ana’s soldiers pouring over the walls at the Alamo, or Pickett’s charge crashing against Union lines on Cemetery Ridge at Gettysburg. The closest thing to a dramatic final act at Khe Sanh was the 3/26 assault on Hill 881 North on Easter Sunday, April 14, 1968. But even that wasn’t really the final act: The killing and dying at Khe Sanh continued for another three months, out of the spotlight, before the base was abandoned. WHAT WERE YOUR MOST REWARDING MOMENTS IN WRITING LAST STAND AT KHE SANH? It was gratifying to give a voice to men who had not been heard before. I was trying to find a mix of representative characters, from the COC at Khe Sanh Combat Base down to the grunt-level of line platoons on the hill outposts. Obviously, some of the men who populate the narrative of Last Stand at Khe Sanh had appeared in previous books, but many hadn’t. 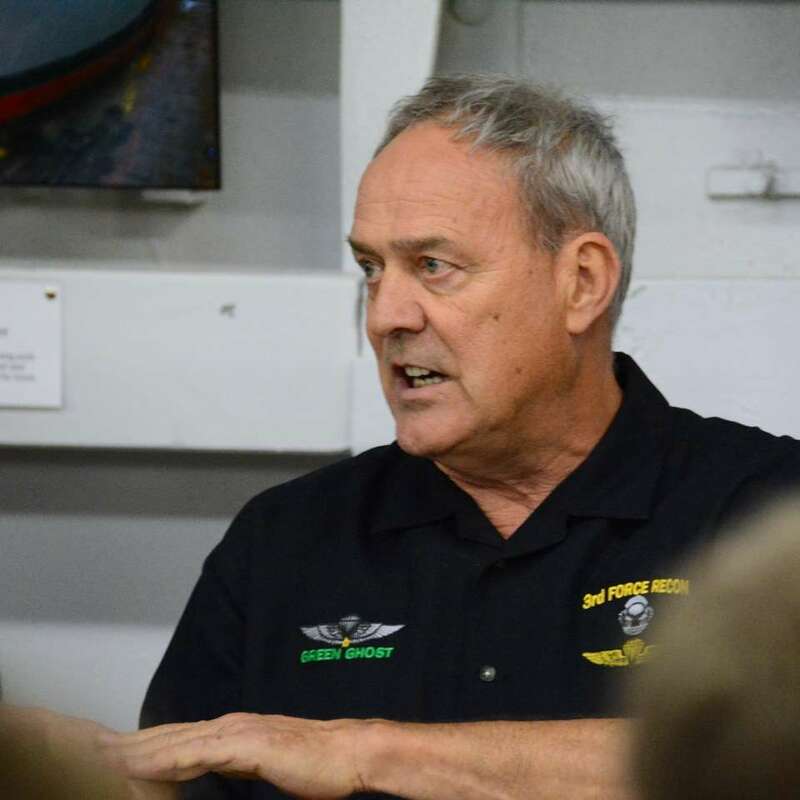 I also was very inspired to tell the stories of men who had lost their lives at Khe Sanh, to put a face on brave and selfless souls who had faded into the mists of history. I wanted readers to know something about the final moments of men like Tommy Denning, Jesus Roberto Vasquez, Joe Molettiere, Eugene Ashley, Jonathan Nathaniel Spicer, and so many others. 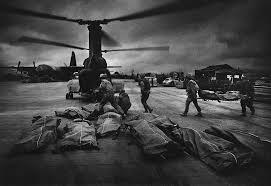 They deserve to be remembered, as do their comrades who returned from Vietnam. WHAT WERE SOME OF THE PROJECT’S MORE TRYING MOMENTS? It took much more time than I expected to identify and correct the errors in historical records and previous books about Khe Sanh, and to reconcile discrepancies in the accounts of eyewitnesses I interviewed. There were a couple of instances where individuals had clearly created embellished accounts to recast themselves as heroes. It took a lot of digging and checking to get it right. Finally, it was painful to have to edit and tighten the manuscript and lose the stories of so many men. With unlimited time and money, I would devote another three years to interviewing Khe Sanh veterans, digging through the archives, walking the battlefield and tracking down NVA veterans. I would spend another year or two writing, fact-checking, proofreading and polishing the manuscript. A publisher’s deadlines never seem to leave enough time for everything that needs to be done. 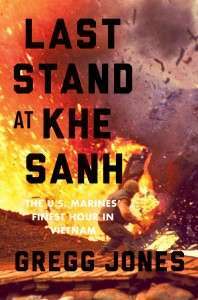 HOW ARE SALES OF LAST STAND AT KHE SANH? My editor at Da Capo Press, Bob Pigeon, had very high hopes for Last Stand at Khe Sanh. He loved the finished manuscript, and this fall submitted the book for three major prizes. 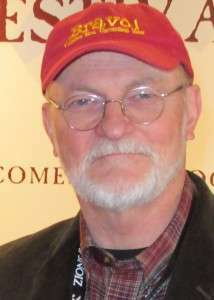 Leatherneck magazine called Last Stand “a classic,” and scores of veterans have told me that Last Stand captured their Khe Sanh experience better than any previous book. But the fact is that Last Stand at Khe Sanh hasn’t found the “larger audience” that I hoped it would find. The men who fought at Khe Sanh deserve to have their story told, and word of mouth is a powerful force in the history genre. Last Stand at Khe Sanh is still selling, and the paperback edition will be out next spring. Absolutely. I became a journalist because I wanted to experience history as it happened. I witnessed some extraordinary history in my thirty years in journalism. When I left daily journalism in 2010 to devote myself to chronicling American history, I dreamed of writing books like Last Stand at Khe Sanh. Getting to know some of the men who fought at Khe Sanh and telling their story has been one of the most satisfying experiences of my life. 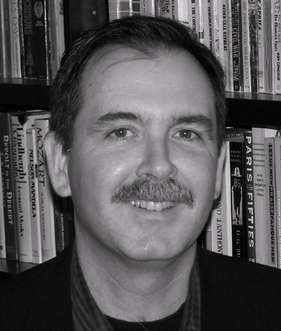 Gregg Jones is the author of three critically acclaimed nonfiction books: Last Stand at Khe Sanh, Honor in the Dust, and Red Revolution. He reported from Afghanistan in 2001-02, and has covered insurgencies, revolutions and other major news events on five continents during his four decades in journalism. His work has appeared in the Los Angeles Times, Washington Post, Washington Times, Dallas Morning News, Boston Globe and other U.S., British and Australian newspapers and magazines. He has been honored with numerous awards and has been a finalist for the Pulitzer Prize. He was based in Asia from 1984-89 and 1997-2002. Last week we wrote about the month of October around the Khe Sanh Combat Base. One of the main themes of the blog was that the most difficult thing to deal with was the weather. We don’t think that was the case in the rest of Vietnam. Operations were conducted from north to south searching for both North Vietnamese and Vietcong combat units. Thousands of men and women died on both sides, the troops led by the forces of the United States and those fighting for the overthrow of the South Vietnamese government. The fighting was brutal and the body counts high. But not at Khe Sanh. For a time and place that saw the savage springtime battles centered around the hills, 861, 881 South and 881 North, the battle action was strangely non-existent in October 1967. Compared to the conflagration of the Siege and associated fights, October 1967 at Khe Sanh was almost Paradise. Leeches, patrols, rain and mist, work parties, slick red mud and too much water were all, in the big picture, little to nothing. On October 13, 1967, Marine Corporal Melvin Sink (http://www.virtualwall.org/ds/SinkMF01a.htm) was killed by friendly fire while leading an ambush off Hill 881-South. On October 15, 1967, Army Sgt. 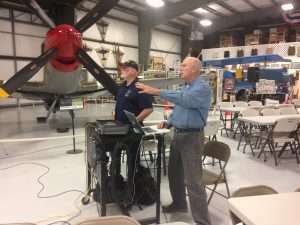 Charles Baney (http://www.virtualwall.org/db/BaneyCL01a.htm), and crewmembers Airman 1st Class Lawrence Berneski (http://www.virtualwall.org/db/BerneskiLA01a.htm), Captain Erle Bjorke (http://www.virtualwall.org/db/BjorkeEL01a.htm), 1st Lieutenant James Hottenroth (http://www.virtualwall.org/dh/HottenrothJR01a.htm), Tech Sergeant Edward Mosley (http://www.virtualwall.org/dm/MosleyEx01a.htm) and Airman 2nd Class John Snyder (http://www.virtualwall.org/ds/SnyderJH01a.htm) were killed when the C-130 they were either inspectors on or crewing, crashed and burned at the east end of the Khe Sanh airstrip. On October 30, 1967, Captain James Bennett (http://www.virtualwall.org/db/BennettJH01a.htm) died from injuries sustained in the crash of an Air Force O1-E spotter at the Khe Sanh air strip. We look forward to the upcoming screening at the Meridian Library in Meridian, Idaho, at 6:30 PM this evening, October 22. Also on tap is a screening in Oceanside, CA, 10:00 AM on November 1 at the Veterans Association of North County, 1617 N Mission, Oceanside, CA. Donations go to renovate the VANC Resource Center. Seating is limited. Please RSVP to Vanc.events@gmail.com. 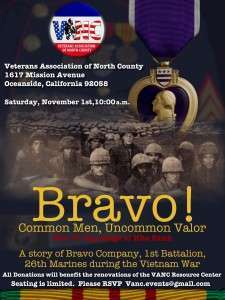 Later in November, a screening will be held at American Legion Post 291, Newport Beach, CA, 215 15th Street, Newport Beach. Screening begins at 10:00 AM on November 15, 2014. Proceeds go to benefit the Fisher House of Southern California. Please join us for one of these events and please invite your friends. I came down from the mountain a few weeks after the end of the Siege in June of 1968. I’d been up there for 11 straight weeks. Two of us radio operators from my company were stationed up on Hill 950 (3119 feet). We lived in a cave approximately 8 feet wide, 6 feet deep and 5 feet high which was dug into the hilltop. Large pieces of interlocking metal runway strips provided a ceiling that would not collapse. Of the dozen or so caves dug into the side of the hilltop, about half had metal ceilings and half had ceilings made from tree branches. The hilltop had been alternately “owned” by our forces and theirs and in the process had been overrun many times. The tree branched caves had been dug by the NVA, the caves with metal ceilings by American soldiers. We felt happy to have a cave made by our own Marines. We managed to squeeze two cots, four radios, a lawn chair and everything we possessed into that space, as well as a few rats that became named companions. Most of the time up there was spent with Roy Hagino, a good-natured blue collar kid from Flint, Michigan, and proud of it. We two were running the radio relay for our recon teams in the jungle during the Siege. Bits and pieces of that time still blow around in my mind. It was so unusual, so isolated, so beyond the reaches of safety, so frightening that those bits and pieces run out of my memory like sand out of an open hand. No shave nor showers, often without drinking water, eating C-rations dating from the early 50’s, sucking the juice out of cans of fruit to stay hydrated, constantly surrounded by the NVA and for one ten day period dead sure we would be overrun, writing final letters home and hoping an enemy soldier would bother taking them from our blood-soaked pockets and mail them. We manned the radios in a 6-hour-on and 6-hour-off schedule to break the stranglehold of stagnant time as much as possible. There was absolutely nothing to do outside of our work. The mountaintop was about 30 yards by 30 yards, it had a sheer drop on three sides which is what made it defensible at all, and our caves were dug into the sides like earholes in a monk’s head. The place vibrated like an earthquake every time a chopper landed, which wasn’t very often. We were socked in by monsoon clouds about half of that time. The mouth of our cave was a small oval; there was a trench outside and outside of that a drop of about 400 feet. The jungle began at that distance and that was NVA territory. The NVA loved sniping at us, which meant that leaving the cave and exercising was risky business. Nothing to do but sit in that 5-foot-tall cave, monitor the radios, and try and rub out the knots that kept popping up in our muscles. I was taller and thin, Hag was built like The Hulk, his favorite comic book character. Our diet didn’t put weight on me, but Hag gained pounds like a snowball. Near the end of our stay a plump Hag would lay on his bunk, snoring and farting at the same time. There are things I learned later about the Siege that I did not know at the time. There were about 6000 young men involved at the base camp and the rest spread out on the various mountains around the base: 881 South, 861, 861-A, 558, 64, 950, all famous among Marines and historians, each in their own way. There were more explosives dropped during the Siege than all the explosives of WWII combined. This in an area of about 2 square miles. That is a hard thing to image. It’s hard to imagine how most of us 6000 lived through all that, but we did, hunkering down in caves, bunkers and foxholes. The ground shook almost constantly as the B-52s arc-lighted, and from the constant artillery, rockets, mortars, Gatling guns, grenades, machine gun fire, rifle fire and the screams of badly injured soldiers. We could see the B-52s on a clear day, 3 miles above, and we could see when they dropped their bombs because the giant aircraft suddenly lost half their weight and had to peel off or snap their wings. If we stared at the spot in the sky where they dropped their load long enough, the clusters of bombs themselves would become visible, shivering like cold dogs in their plunge into what had been for centuries a pristine sub-tropical jungle. I also learned later that my small company was credited as the main factor in defeating the NVA at Khe Sanh. The enemy called us the Green Ghosts. 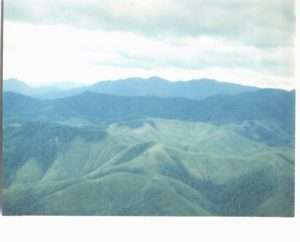 We were always out there in the jungle in 4-man teams, our faces painted with camouflage, every item in our gear fixed so that it would make no noise, every surface covered or coated so it would not reflect light, every man a volunteer in what seemed to others like crazy suicide missions. Some were. We spied on the NVA right in their back yard. It caused them great grief. If they wanted to move a unit to assault Khe Sanh from a different angle, we knew. If they had a favorite supply route, we knew. We found their caches and blew them, we called in artillery or Phantoms or Skyhawks on their base camps, we took prisoners and captured sets of orders from runners we had killed. In the cave, on the radio, all the conversations about the team’s activities passed through the relay Hag and I manned. Everything. Our activity, like all wars, was pure drudgery and boredom punctuated by raging, adrenalin-saturated chaos. During the days we tracked our teams on the maps we had pinned to the dirt walls. We relayed their situation reports, their calls for artillery or air support, their screams of “contact” which came through our speakers riding on a wave of rifle fire. At nights, if the teams were surrounded and dare not talk, we would ask them questions. “If the enemy is within 20 feet, click your handset twice.” We were their umbilical cord, their lifeline, the only reason they could survive at all in that environment. And the teams were the only reason we were up on this ancient mountaintop, hoping the NVA who surrounded us would let us live one more day. Hag and I agreed, they were monitoring our radios. That was more useful than killing us. They had tried that. 950 had been overrun many times. The NVA took it and we took it back. 1371 was taller but there was no place to land a bird. 1050, 950’s sister hill, was a perfect cone, the top just waiting to be attacked from any angle. But 950 was different, tall enough to be a radio relay, approachable on foot along only one narrow saddleback. Eleven weeks of 6 on and 6 off, constantly in vicarious combat, our young bodies out of our own control from cramping, dehydration and a poor diet, engaging in long conversations about jumping off the 400 ledge if the enemy got to us, or at least throwing our radios off so the NVA could not use them. Last letters home, badly wrinkled photos taken in and out of a filthy pocket countless times. Isolating ourselves from the dozen grunts up there who shared our fate and whose job it was to guard us, protect us against what seemed the inevitable, perhaps the liberating AK-47 round to the head if it came to that. Those guarding us were really kids. Hag was at the end of his tour and myself in the middle. The 26th Marines had decided not to waste any well-trained or hardened grunts up on 950, so they sent clerks and cooks, 18-year-olds who had not even been to infantry training. Hag and I were frightened with a reason; they were frightened without knowing why, and that is much worse. In early May, NVA activity shifted and our ground artillery and the New Jersey sitting out in the Gulf with her 16-inch guns started firing right over our heads, nights and days on end with the constant whistling of 105s, 155s and the big 16-inch guns. The 105s went over with a whistle, the 16-inch shells like a freight train, wa-ruff wa-ruff wa-ruff. “Hope they don’t aim a little low,” Hag commented. A 16-inch shell, 2000 pounds of high explosives, would have vaporized the hilltop. When the monsoons hit, it poured for days, then weeks, then a month, endless cascading sheets of water, isolating us even more from the outside world. Our cave exhaled the deep smell of the earth; it leaked, it creaked, the rats extended their stay to the days as well as the nights. Stuck up in the clouds like that, air support was not available. Artillery never had been. On a tiny peak like 950 an artillery shell even a few feet off dead center would miss altogether. The NVA got very bold. They set up camp in plain sight. We could hear them talking, see them silhouetted against their fires at night, watch them mill around in an easy manner during the day. The Butter Bar ordered his men to snipe at them; Hag rolled his eyes. He called S-3 again and the next day the sniping stopped. No need to aggravate them. If they came at us they came at us. Save your ammo for an assault. Hag and I tied our two repelling ropes together and together they still didn’t reach halfway down the 400-foot drop. All the while the minutes dragged on like hours until a “contact” scream came over our radios and we did everything we could to assist a team out there in trouble for a short while. Hag was getting short in Nam. Two weeks then one week and then dead time changed; he was busy ordering a new Firebird and obsessed with the details. His excitement helped me lean against the groaning of time. One day, one hour, one minute, then Hag stepped on a bird and a new guy jumped off. To this day I do not remember the new guy at all. Once Hag left I started calling S-3. “I’m seeing little people,” I said. After I told S-3 five days in a row about the little people S-3 promised to relieve me and a week after Hag was gone I was down from the mountain, ready, willing and able to soundproof my gear, paint my face and melt into the jungle like a green ghost. Years later when the Internet came around, I tried to find Hag. I did, a year after his death. He died at age 50, leaving a family behind. He had tried to stop an armed robbery of the restaurant he managed and was shot four times. Never really recovering, he died a year later. I grew up on a farm in Iowa. I graduated in 1965 as a state champion runner and a member of the National Honor Society. I got my draft notice in January of 1966 and enlisted in the Marine Corps. I trained first as a radio operator and then as a Force Recon Marine at Camp Pendleton in 5th Force Recon Company. Among other schools, I attended Amphibious Recon School, Naval Divers (SCUBA) School, and Army Airborne School. 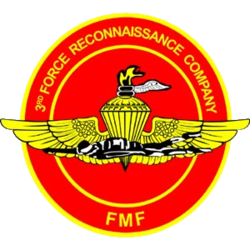 I went to 3rd Force Recon Company, I Corps Viet Nam in February of 1968 and left Viet Nam and the Marine Corps in December of 1968. 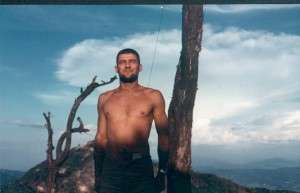 During my tour I spent 11 weeks on radio relay at Hill 950 and ran 20 deep recon patrols in the I Corps area. After the Corps I wandered through college, had a series of white collar jobs and ended up in construction at age 29. I have spent 35 years specializing in residential staircases. You can see some of my staircases at http://www.functional-art.com/. I have 4 children and 9 grandchildren, all of whom I am very proud. This is a time of the year that I call the “season of the siege.” Memories of Khe Sanh in 1967-1968 always flood my mind, but in the winter and early spring of every year the memories infest me with louder shouts from the ghosts of my history. Those ghosts showed up to bother my memories yesterday when I read a piece from Ernie Pyle’s book about World War II titled, Brave Men. In his books about that war, Pyle rarely mentioned generals and admirals, politicians, global strategy. He stuck to the mundane inconveniences, joys and heartaches encountered by the snuffy, the grunt, the flyboy, the squid, the dogface. Particularly interesting to me was Pyle’s reference to candles, specifically to the need for candles on the Anzio beachhead just south of Rome, Italy, in early 1944. In Vietnam, we needed candles, too, so I suddenly felt an affinity with those men trapped in Kesselring’s Steel Ring that surrounded the American 5th Army at Anzio. Sure, the very fact that I went through boot camp, got shot at by the enemy, shot at the enemy, slept in the mud and rain, lived in a hole in the ground, provides plenty of common experience with the warriors at Anzio. But that need for candles, that mundane luxury, and it was a luxury, puts our—theirs and mine—shared misery and fear on a footing so common and un-heroic that it makes me smile just thinking of it. Candles were necessary and important because they allowed us to see in our hooches. We had no electrical power, we had no barracks, we had no lights dangling down from the sandbagged roofs of those holes we chiseled out of the hard, red ground of Khe Sanh. We wanted light to read by and to fix our C-ration meals and to see the faces of the other men we were talking to. I don’t recall if the Marine Corps provided candles. They provided C-rations and chocolate and Big Hunk bars, they provided cigarettes and toilet paper and matches and heat tabs. But I don’t recall candles. In my experience, the candles I burned on Hills 881S and 861 and at the Khe Sanh Combat Base came from my mother. A variety of candles, but mostly white, long and thin, tapered and not much bigger around than my thumb. When packages from home didn’t show up due to weather or some other factor, we had to figure out how to manufacture our own candles. We learned the hard way not to throw out those mounds of spent candle wax that looked like the remains of lava that had run into a flat spot and pooled. After some nights of dark—the hooches were dark most of the time—without candlelight, we learned to save our spent candle wax so that we could make replacements. The candles we made were never as effective as the ones we got from home, but they served in a pinch. I have clear images of two of us Marines bent over in the fluttering light of our last candle, with a thread from a piece of Marine Corps green canvas or two or three threads from a jungle dungaree entwined to create a wick, melting our stash of old wax so we could construct a new source of light. Besides candles, mail from home brought us socks and books and Chapstick and goodies from our mothers’ kitchens. My mother and her friends sent me a lot of packages with so much stuff, I had plenty of goodies to spread around…cookies and hand-dipped bonbons and brownies, to name a few delights. And after the siege heated up in February 1968, those packages became scarce and when they did arrive, they came in bunches and often the cookies were moldy and the candles had been taken out of our packages…by whom, we never knew. As I look back on it now, what was more important to me, and probably a lot of the Americans and their allies at Khe Sanh, were the letters from our parents and our wives and our friends. Their expressions of love and concern helped harden our resolve to survive the horror of the siege. The last month of my tour in Vietnam, I was charged with traveling up from the trenches to the company office to collect the mail for 2nd Platoon. I carried a red box that was full of letters written by Marines and Corpsmen in our platoon to someone back home. When I arrived at the office, I delivered the outgoing mail and picked up whatever was there for the men in our platoon. Since the mail arrived in fits and starts, sometimes if took me multiple trips across that deadly no-man’s land, so to speak, between the relative safety of our positions and where I picked up the mail. The company office was an underground bunker that housed the Company 1st Sergeant and the office clerks. We usually met and gathered the mail in a big tent that was set up over the bunker. There was a hole that led down into the bunker from the tent. I remember once, when I was diddy-bopping down the trench after sipping coffee and shooting the moose with some 2nd Platoon buddies, something slammed down onto the top of my helmet and jarred my head down into my neck. This was a feeling that wasn’t unusual, since all the times I had to traverse from trench to office I often found myself having to dive behind some kind of structure or into a hole with the arrival of mortars or rockets or artillery rounds. A lot of those times, I ended up jamming my helmet into a sandbag abutment or the wall of a fighting hole. After recovering from my initial shock, I saw that it was Staff Sergeant Alvarado, the platoon sergeant, who had bonked me on the head with that red mail box. I was very familiar with Staff Sergeant Alvarado since I was his radio operator. He was a good NCO and did a fine job of helping lead 2nd Platoon. But right then, he’d gotten into my craw, and me, always looking for an appropriate moment to challenge authority, ripped into him about what he could and couldn’t do to me. I remember yelling at him that he could write me up or remove me from my duties, but he was not to ever touch me, hit me or assault me in any way. Of course, the vernacular of Khe Sanh required that I throw in more expletives than normal words, but I won’t go into those details here. And to Staff Sergeant Alvarado’s credit, the only thing he did was grimace like I’d stung him in some way. I grabbed the mail box and off I went, highly irritated and not without some remorse for not doing my duty in the first place. After the Payback Patrol of 3/30/1968, I remember (because I was so “short” I could walk underneath a short-legged table) taking my replacement up to that tent over the company office to get the mail. 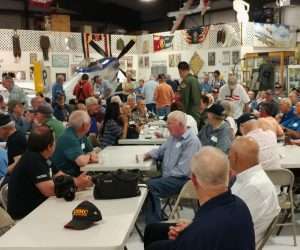 Men from all of the platoons were there, sitting around with piles of mail and a clerk in the middle calling out names of addressees. Bravo Company had so many casualties by that time—way over one-hundred dead and wounded—that it was hard to know who was where and who was alive or in Danang at the hospital or on a hospital ship or rotated back to the States. Of all the things I recall about my time in Vietnam, this incident stands out in my memory. We hadn’t had mail for quite some time and all of a sudden piles were available and each platoon had a goodly heap of letters and packages, but the biggest mound was for the Marines not there. As we were sorting the mail this way, three rocket rounds swooshed in and exploded outside. I had been in Vietnam longer than any of the other Marines sitting around that tent, and like a snake escaping a raptor, I was across the deck and down that chute into the bunker where the office was. The top sergeant ordered me to get out, and for a second I felt like ripping into him for being a pogue and hiding down in that hole while us snuffies fought the war. But I didn’t. I climbed out and collected the mail, and along with my replacement, carried all that mail to 2nd Platoon. When I got home, my mother was asking me if I got this, and if I got that, and no, I hadn’t, and since I was gone from the nightmare of that misunderstood war, I hoped that someone down there in 2nd Platoon ended up with my goodies and my white socks and my candles. Bravo! Common Men, Uncommon Valor is a documentary film about the Siege of Khe Sanh, a seventy-seven day period in a war that went on in excess of eight years. Thinking about those eight years, I often ponder what my old unit was doing in Vietnam while I as home in the United States. Today is May First, 2012. What was Bravo Company doing on various May Firsts while the battalion, my battalion…First Battalion, 26th Marines…was in Vietnam? On May 1, 1966, neither the battalion nor Bravo had yet been in the Vietnam area of operations. They were on their way and soon would function as a battalion landing team up and down the coast of Vietnam. I was in my second semester of college at Arizona State University studying Business Administration and as far as I can recollect, had no intention of joining the United States Marine Corps, or the service, or of ever venturing to Vietnam. After a chain of events that saw me enlist and ship out for Vietnam, by May 1, 1967 I was already in the field with Bravo Company. 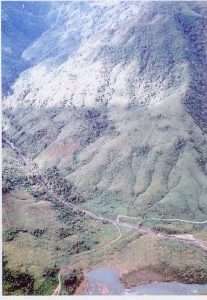 First and Second Platoons were dug in at an old ville south of Hill 55, which was southwest of Danang in I Corps in the northern part of Vietnam. Third Platoon was dug in on a river crossing further south. 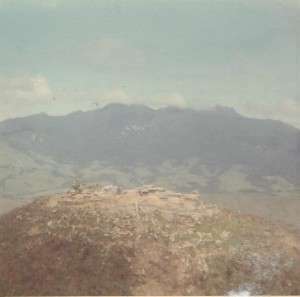 Alpha Company of the battalion had already left the Hill 55 area for Phu Bai on the battalion’s journey that eventually led us to Khe Sanh where elements of the Third and Ninth Marine Regiments had been and were then locked in vicious fights for Hills 861, 881 South and 881 North. On May 1, 1967, on patrol south of Hill 55, elements of Bravo Company found a 60MM mortar employed as an antipersonnel mine which they destroyed with a pound of TNT. They also found a Punji stake which was taken back to the company CP for examination. On May 1, 1968, I had been home from Khe Sanh, the siege and Vietnam for over two weeks, and had been drinking, partying and pondering a trip with friends to Nogales, Mexico, for margaritas, street tacos and bullfights to celebrate Cinco de Mayo. 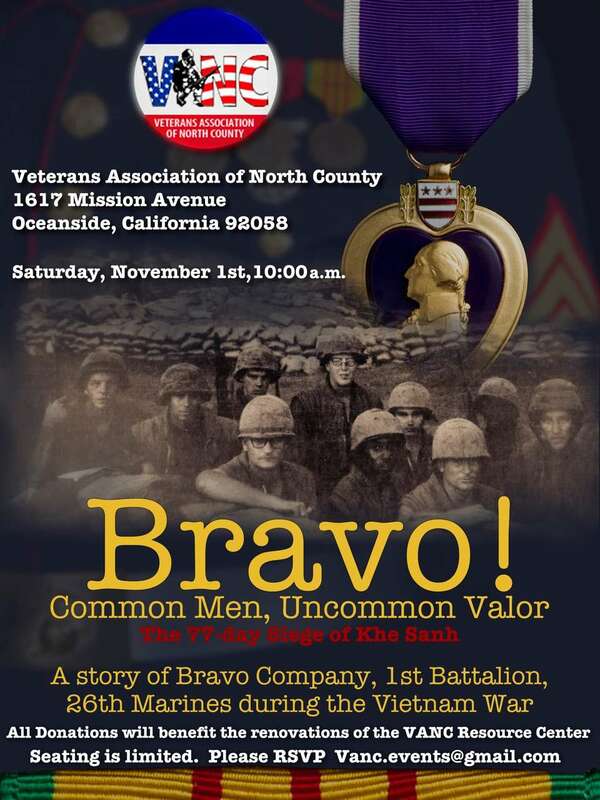 Bravo Company, gone from Khe Sanh, was defending Wonder Beach on May 1, 1968. First Platoon ran an ambush the night of April 30 and returned into the perimeter early on the morning of May 1. During the day, 9 rounds of incoming mortar fire were received and one Marine was wounded. The company also took incoming machine gun fire. On May 1, 1969, I was deployed at Marine Barracks, 36th Street Naval Station in San Diego, California, where I worked in the Navy Brig Base Parolee dorms, harassing prisoners, holding snap inspections and throwing improperly arranged footlockers out the windows three stories down into the yard. Bravo Company was part of a battalion landing team and took part in a heliborne and seaborne assault rehearsal north of the NamO Bridge near Danang in anticipation of more rambunctious action in the days to come. On May 1, 1970, I was out of the Marine Corps attending a local junior college in Central Arizona and working as a sheetrock humper on the construction of some high schools in the Phoenix area. Bravo Company and the 26th Marines no longer existed in terms of a combat unit in Vietnam on May 1, 1970. Their last activities in-country were in March of that year and Bravo Company, 1st Battalion, 26th Marine Regiment now exists in the history of the Corps and the hearts and memories of the Marines and Corpsmen who served.